The Holocaust remains a horrific scar on humanity's conscience - but the Nazi message of hate still remains a corrosive force within our society. Over the past few years, Nick Griffin has made a series of disgusting and damaging statements about the Holocaust. Please click here to sign the petition to demand a retraction and public apology from the BNP Leader. The theme of this Holocaust Memorial Day is Standing up to Hatred. We all like to think that we know what we would do in the face of hatred – that in a moment of decision we would honour our obligations to resist brutality and to stand with its victims. In studying the Holocaust, however, one thing becomes painfully clear: that the full barbarity of Hitler’s death camps was the end point of many acts of cruelty and discrimination, each injustice feeding on the last. The murder of six million Jews and countless Roma, Poles and other Eastern Europeans, gay men and lesbians, trade unionists, disabled people and political and religious opponents of the Nazis was not a sudden and frenzied explosion of hate, but a horror that had been methodically and carefully planned. Hatred may begin with small acts of prejudice or bigotry – but it rarely ends with them. That is why we all have an obligation to stand up to hatred. This Holocaust Memorial Day I hope that people all across Britain will join me in renewing a personal commitment to resisting hatred wherever it is found today. At this special time of year I would like to extend the hand of friendship to all Chinese people in Crewe and Nantwich. All across the world Chinese communities are celebrating New Year and marking this important festival the Chinese way – surrounded by family and friends. The Chinese community has had many successes – across education, research, science, the creative industries, the health service and the hospitality and catering industries. In each field, the Chinese population brings a resilience and industriousness that is truly inspiring and which will contribute to Britain’s long term prosperity. David Williams, Labour's Propsective Parliamentary Candidate for Crewe and Nantwich, today welcomed the Government’s announcement of a further £20 million to help rebuild Gaza and to provide humanitarian assistance. David said the extra funding would be crucial to help provide food, water, shelter and medical supplies for ordinary Palestinians. "An enduring ceasefire is crucial to allow us to get vital aid in to thousands of people who desperately need it. The humanitarian situation will be dire for some time to come. UN and non-governmental aid agencies are doing heroic work under extremely difficult conditions and we want to support their efforts further. This additional funding will help the United Nations, aid agencies and other humanitarian organisations working in Gaza to rebuild the lives of 1.4 million people who have suffered in the conflict." The additional £20 million contribution will be used to allocate funds to emerging humanitarian priorities, making them available to UN agencies and non-governmental organisations working in Gaza. The £20m in humanitarian assistance to Gaza is in addition to the £6.8 million announced on 31 December. This supports the UK Department for International Development’s (DFID) humanitarian strategy to address humanitarian needs in Gaza. This brings the total UK response to the humanitarian crisis in Gaza to nearly £27 million this year which is in addition to the UK’s pledge to provide up to £243 million in aid to the Palestinian people made in Paris in 2007. 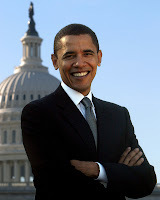 Today is an historic day for the United States of America - the inauguration of Barack Obama. It is another step in a movement of progressive change, both here as in America. A movement like this is only ever possible with the support of the many over the interests of the few. For instance, you may have heard that most of Obama's donors were ordinary people giving whatever they could afford as early as possible - helping increase the impact of their donations. By giving whatever you can afford right now you will immediately help us in this year's elections. In America, almost 70 million ordinary people have been inspired by a belief - a belief at the core of the Labour Party - that we should try to be the change that we want to see in the world. In Britain more and more people are joining us and you can see why. Stephen from Maw Green said: I feel inspired by what the Americans and Barack Obama have done and I strongly believe I can make a difference but realise I can only do so by actually getting involved. Amanda from Nantwich wrote: There's more to democracy than just voting! Deeply inspired by the renewed enthusiasm for politics in America to get out and help fight for a political vision I believe in. Please match David and Rose's words with action - just £5 will make an immediate difference. Our next challenge will be this year's elections - a crucial electoral test after the first crisis of the global age. We must be in no doubt that during these challenging times only our beliefs will avoid the mistakes of the Conservative conviction to ‘do nothing'. We can see beyond the economic statistics, which are in reality a family, a community or a business that needs our help. Britain today faces a clear choice between a 'do nothing' Tory Party and a Labour Government that is doing everything it can to offer real help now and real hope for the future. Donate £5 to the Labour Party today. Your donation will show a belief in providing real help for families and businesses affected by the downturn. Every penny you donate will help us to campaign to stop a ‘do nothing' Conservative party set on repeating the mistakes of previous recessions by leaving people to fend for themselves. Please support the millions of ordinary people supporting our belief by giving whatever you can afford as early as possible. David Williams, Labour’s prospective Parliamentary Candidate for Crewe and Nantwich, urges all those undergoing cancer treatment to apply for free prescriptions. From today people being treated for cancer can apply for their medical exemption certificate, which means that they will eligible for free prescriptions from 1st April. 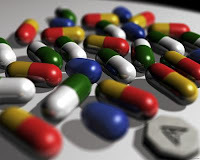 The new scheme, announced by the Prime Minister in September last year, extends exemption from NHS prescription charges for everyone undergoing treatment for cancer, the effects of cancer, or the effects of cancer treatment. Patients can collect an application form from their GP surgery or oncology clinics. The form must be countersigned by their GP, hospital doctor or service doctor. This new scheme gives people living with cancer and related conditions one less worry at such a difficult time. David Williams said, “Labour's investment in and reform of the NHS has delivered real improvements in cancer care. Our tough targets have driven waiting lists down and standards up. Labour is investing more than ever before in cancer services. “The earlier a cancer is detected, the better the chance of curing it. Labour is expanding the NHS Breast Screening Programme to help detect breast cancer earlier. The Programme now accounts for a third of all breast cancers detected. “Under Labour cancer death rates are down by nearly 20%, saving nearly 9,000 lives in 2007 alone. Almost all people with suspected cancer are seen by a specialist within two weeks – in 1997, less than two-thirds were seen this quickly. Almost everyone is treated within a month of diagnosis. “The Conservatives say they would scrap Labour’s tough targets and patient guarantees. That means Labour’s guarantee that if you are suspected of having cancer, you will be seen by a specialist within two weeks, and Labour’s guarantee that if you are diagnosed with cancer you will start treatment within one month. Today David Williams, Labour's Prospective Parliamentary Candidate for Crewe and Nantwich, met the Prime Minister at 10 Downing Street. David had asked Chronicle readers to suggest a question to ask Gordon Brown. Chronicle readers came up with questions on a range of issues, including the future of Crewe town centre; job security, help for those struggling to pay their mortgage and many more. David will answer all the questions received personally, but he knew there would only be the opportunity to ask one question to the PM, so he chose the subject that came up most often - immigration. David Williams said, "Prime Minister, people in Crewe and Nantwich often raise with me the issue of immigration. A number of Chronicle readers have asked me to raise this with you and it comes up regularly on the doorstep. They are concerned, particularly in the current economic downturn, that the Labour Government has a firm but fair immigration system?" The Rt Hon Gordon Brown MP responded, "I understand the concerns and that is why, last week, we introduced a Bill in Parliament to deal with many of the issues that worry people. "Labour is taking action to strengthen our borders and to shut down the causes of illegal immigration. We are holding newcomers to account when they break the rules, and deporting rule breakers where necessary. "Immigration contributed some £6 billion to our economy in 2006. We have announced that we will be using a new Points Based System to require employers to offer British jobs through Job Centre plus before recruiting foreign workers. "We are delivering a compassionate system, that makes and enforces decisions quickly when we have asylum obligations to honour. The number of asylum seekers coming to Britain is the lowest since 1992, and our systems for processing asylum applications are quicker and clearer. We remove someone from Britain every 8.5 minutes and last year we deported 4,200 foreign national prisoners. "The Conservatives are not serious about tackling immigration. They may talk tough, but they vote soft. Among the immigration measures the Conservatives have opposed are: limits to benefits for asylum seekers; refusing asylum to convicted criminals sentenced to 2 years in prison, and reducing the time failed asylum seekers have to appeal. "Migration only works if it brings benefits and these measures will ensure that only those migrants that make a positive impact on their local community will be able to stay in the UK." A mortgage rescue scheme to help vulnerable families at risk of repossession to stay in their homes is being rolled out today. The scheme is targeted at the most vulnerable households who would be eligible for homelessness assistance if their home was repossessed, such as the elderly, disabled or those with children, with a household income under £60,000 a year. Households will be able to apply for this support from their local authority, and will be offered two options to help them remain in their homes, depending on their circumstances. They will either be able to sell a share of the equity in their home to a housing association, enabling their monthly mortgage payments to be significantly reduced, or they can sell the entire home to a housing association and remain in the property as tenants paying a subsidised rent. In addition to mortgage rescue, the Government has taken a number of measures to support households at risk of repossession. Last week, changes came into effect on Support for Mortgage Interest (SMI), cutting by two thirds – from 39 to 13 weeks - the time before homeowners who lose their jobs receive financial help with the interest payments on their mortgage. The Homeowner Mortgage Support Scheme, which will allow households who suffer an income shock to defer part of their payments for up to two years, is being urgently developed with lenders. "I know that some families are worried about their mortgage payments right now and the Government is determined to do everything possible to ensure repossession is always a last resort. For the most vulnerable households, the mortgage rescue scheme will be available across England to help ensure they can remain in their homes. “This is part of a range of measures the Government is putting in place to help households at risk of repossession in the current climate. As well as expanding free debt and legal advice, Labour has increased the support available for people who lose their jobs, and are introducing the option for homeowners to defer part of the loan to give them the time they need to get back on their feet. For further information please contact David Williams on 07798 696 603. David Williams said, "I am aware that there are many issues in the constituency that people will want me to raise with the Prime Minister and I have lots of my own questions to ask, but I wanted to give Chronicle readers the opportunity to make their suggestions. I know from the many constituents I have spoken to in Crewe and Nantwich that jobs and issues around the global economic downturn, the future of Crewe town centre and coping with the current freezing temperatures are high on people's agenda. 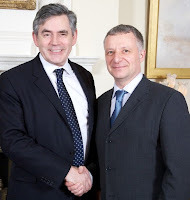 However, I am open to all suggestions of what to ask Gordon Brown." David Williams, Labour’s Prospective Parliamentary Candidate for Crewe and Nantwich, has welcomed a funding boost which could see more apprenticeship places available for young people and adults in Crewe and Nantwich. The number of people completing an apprenticeship in Cheshire has risen by 83% over the last three years from 793 in 2002/03 to 1,454 in 2005/06. The Prime Minister Gordon Brown has now announced £140 million of extra funding for an additional 35,000 apprentices across the country in the next twelve months. “In the current economic downturn, it’s vital that we continue to invest in the economy and make sure people in Crewe and Nantwich have the skills they need to succeed in the future. “In Cheshire we’ve already seen a revival of apprenticeships with an 83% increase in just three years. The funding announced by Gordon Brown today means we can have even more apprenticeships in the coming year. “Not only will this investment help us get through the economic downturn, it will also ensure we have more skilled workers for the future so our area can benefit from the upturn. “I was an apprentice at Bentley and I know that it is one of the best starts to working life anyone could ask for. I am personally delighted that the Labour Government is investing in skills through apprenticeships.